When the rest of the world slowly puts away their winter woolies, it’s time for those down under to start crocheting for the upcoming chill. The Crimson Ridge Cowl is an easy project you can whip up quickly for those unpredictable autumn days. 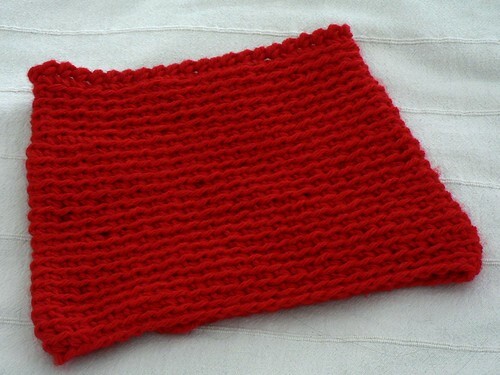 The cowl gently tapers to the top for a better fit. No need for buttons or shawl pins to hold it in place. Simple ridges and a rope edging adds a nice detail and makes crocheting it even more fun! You will need to have basic crochet skills. 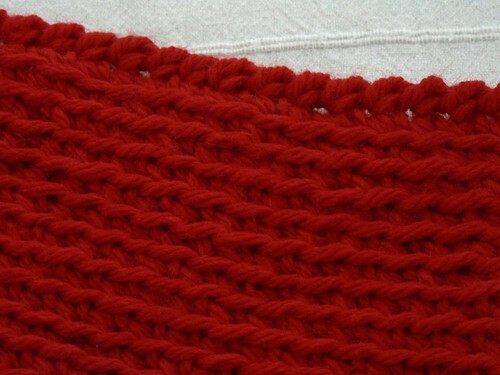 This project uses a slightly advanced stitch, simple shaping and edging. 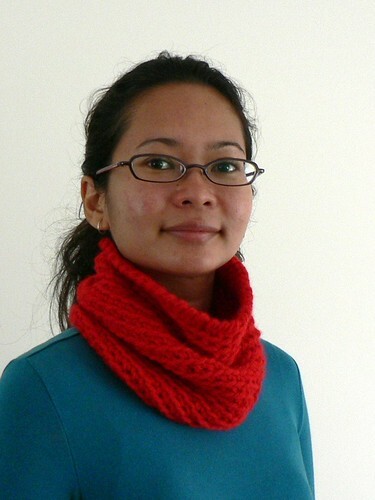 What a nice cowl Salihan! .-= Mette´s last blog ..Mittens for two =-. I love your cowl Salihan! Very very pretty! Gorgeous! Love the bright, poppy red you chose, too. .-= Julie´s last blog ..Modification Monday: Cable Headband =-.